My mother was diagnosed with pancreatic cancer four years ago. If her journey in 2007 was to fight daily for her survival, both from the cancer itself as well as from her treatment, then mine was to research all that I could about conventional, alternative, and complementary cancer therapies. She chose to endure surgery, chemotherapy, and radiation, and I chose to provide her with whatever information she needed to be empowered every step of the way. Little did I know that I would be opening Pandora’s box. Who would have suspected that the path to cancer therapy enlightenment would be full of dark shadows in the form of prickly politics, powerless providers, and dubious double standards? Many people are not going to like what I have to say, including some of my colleagues and faculty in nursing school. Cancer is an emotionally and politically charged subject, and consequently, the realities of contemporary conventional and alternative cancer therapies can bring out vitriol, finger pointing, anger, and frustration. Regardless, I am going to share some of what I discovered about cancer therapies — the bad and the good — on my wild journey with my beautiful mother, who remains cancer-free and continues to inspire me daily. Some may accuse me of preaching from a soapbox, but I will endure whatever may befall me if it means empowering just one cancer patient so that they can choose their treatments based on information rather than fear. Moreover, this essay is not meant to criticize anyone for the choices that they have made or will make regarding their own journey with cancer; I deeply respect the difficult decisions that each individual must make upon a diagnosis of cancer, and I would never presume to judge a patient. On the contrary, I serve to provide the information that I learned in order to empower; I do not wish to castigate. Information is key in the quest to cancer survival, especially to those who either are not given the option of orthodox treatments or who choose to partake in other therapies in conjunction with or instead of surgery, radiation, and chemotherapy. James “Rhio” O’Connor is one such patient who decided to pursue an unconventional protocol after having been diagnosed with terminal mesothelioma, a rare form of cancer in the mesothelium, the thin tissue which lines and protects most internal organs. Advised by his physician that orthodox therapies would be of little help to him and that he had no more than a year to live, instead of giving up, O’Connor formulated a regimen consisting of supplements, herbs, good nutrition, and mind-body medicine. Known for his positive outlook and strong will, he persevered for more than six years with “incurable” cancer, and even after his death, he continues to inspire and empower fellow cancer patients with his story. As a future nurse, I must ask the question, why is it that patients like Mr. O’Connor are left to fend for themselves when they need us most, forsaken by Western medicine as having no choice but to “put their affairs in order”? The reality is that even for those who believe in the potential of unorthodox treatments, licensed providers are not legally allowed to offer their patients any cancer treatments beyond surgery, chemotherapy, and radiation. 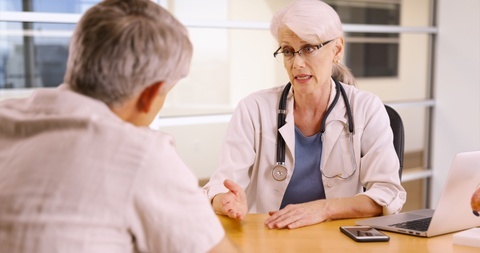 Only when a patient comes to a physician asking about a particular alternative or complementary therapy can s/he provide information about that therapy, and only after advising the patient to pursue conventional treatments. For those patients who are struggling to come to grips with a cancer diagnosis, the idea of researching non-conventional therapies on their own may be overwhelming. However, the painful politics of licensure ensure that a provider will lose his or her ability to practice medicine for the “crime” of offering “unsound” medical advice in the form of alternative and complementary treatments, such as Iscador injections or what is known as the “Kelley cure,” named for William Donald Kelley, a dentist who cured himself of terminal metastatic pancreatic cancer three weeks before he was supposed to die. So why can we not offer our patients alternatives? We are told it is because complementary and alternative treatments, known as CAM, are “unproven.” They have not undergone the rigorous gold standard of “double-blind, placebo-controlled” studies. Unfortunately, neither have radiation therapy or chemotherapy protocols because according to many physicians, that would not be “ethical.” Herein lies the double standard that pained me upon its discovery, as I felt betrayed by the medical establishment. There is no study comparing the effects of radiation therapy with no radiation therapy, because it is considered “unethical” not to offer radiation to patients. Most studies only compare radiation alone with radiation and chemo combined, or high dose radiation with low dose. Radiation therapy, despite its ability to induce other cancers, pneumonitis, and other life-threatening complications, was grandfathered in as a cancer therapy after its use began in the 1920s. Reading between the lines, In certain cases, it may shrink tumors, but there are always serious financial and health-related costs. Mom was already considered cancer-free after her surgery; she was advised to have the radiation therapy, along with a year of chemotherapy, “just in case.” When she asked her radiation oncologist upon what studies her 28 days of prescribed radiation therapy were based (as opposed to 15 or 50 days), the oncologist admitted that it was an arbitrary figure — there was no science to back up that number. I was quite angry when I heard this, because I felt that not only were they using my mother as a guinea pig, they were potentially preventing her from finding therapies that could be less harmful yet more effective in keeping the cancer away. And yet, CAM therapies are often vilified because they are not “studied,” and practitioners who espouse them are sometimes deemed “quacks.” Nonetheless, I put aside my own feelings because I respected my mother’s choice to undergo radiation and chemotherapy. I recognized that her journey was separate from mine: Her journey was for the present, and mine was for the future. And just as Pandora learned to live with the darkness as part of the light, I realized that there is much one can do to complement conventional cancer therapy. Mom chose to supplement her treatments with cod liver oil, probiotics, and homeopathy (which she had me sneak into her hospital room after her Whipple operation), but we have friends who chose freshly juiced fruits and vegetables along with daily meditation. There are countless CAM therapies that may benefit cancer patients, and according to the American Cancer Society, upwards of 60-80% of cancer patients use at least one form of CAM during conventional treatment. Some patients may choose only alternative treatments, such as the Kelley cure, the Gerson therapy, the Hoxsey treatment, or a combination of the myriad healing possibilities. These patients also deserve our support. If there is one message that I would like to convey to health care professionals, it is this: We must come together to change the system. We must look at the information objectively and realize that the best way to help patients is to allow them to pursue all the options, even those that offer little or no profit to the providers or corporations. We have a responsibility to our patients to seek the truth, even if that means admitting that nutrition matters, that certain herbs may shrink tumors, and that a positive outlook may make the difference between life and death. For the sake of our patients, we must look inward and ask the hard questions. We are human beings. We do not have all the answers, and we are not infallible. In conclusion, I sincerely apologize if I have provoked anger or a vitriolic reaction from my readers. I thought about writing a more formal essay, one that was more politically correct, but in the end, I knew that speaking candidly would be the best way to honor the real pain my mother has endured with grace throughout the last four years. I am humbly grateful to her for her journey with pancreatic cancer. Not only did it make me appreciate her more profoundly for all her wisdom and love, but it also planted the seed in me to pursue nursing as a calling and fundamentally and forever transformed the way in which I will work with patients.